Offense en defense start at the same time. Offense dribbles around the first pylon towards the second pylon. Offense makes a move at the second pylon, pretending it is a defender, and passes it to take shot. Defense runs around first pylon and then touches to second pylon. 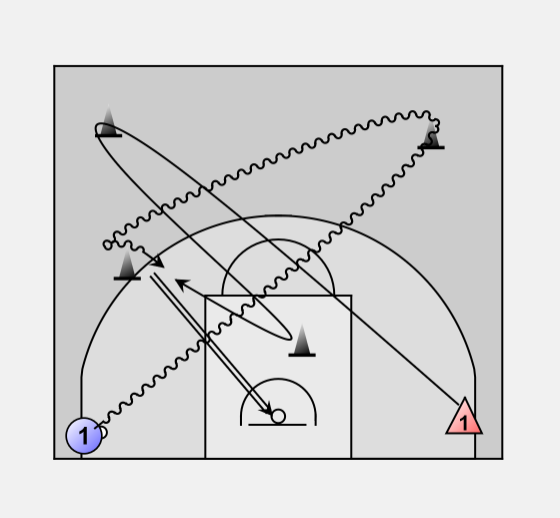 After that the defender closes the offense out and contests the shot. Change rows and start again.